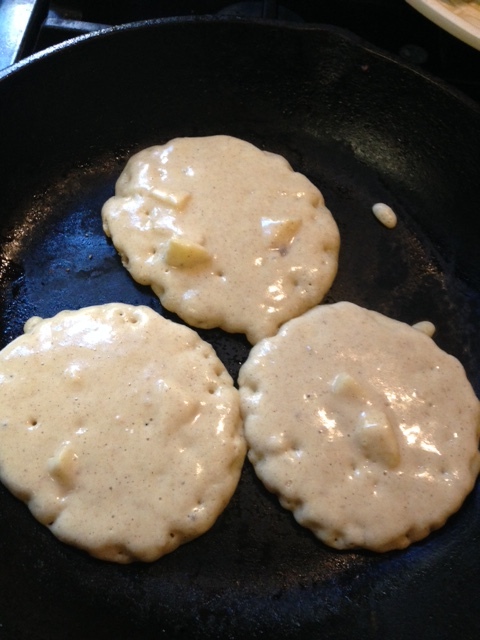 It’s a sunny Saturday morning, so I decided to use up some of our apples from apple picking this fall to make some yummy Apple Cinnamon Pancakes. Combine all the dry ingredients and mix with the wet. Peel and finely chop 3-4 small apples (about 2 cups worth). Fold into your batter mixture. Cook in small circles in your favorite cast iron skillet and serve. 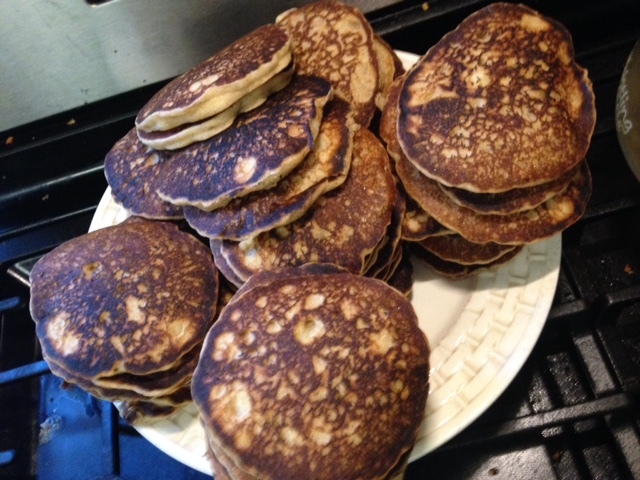 They are yummy with butter, syrup and even a layer of almond butter if so desired. Eat away. We saved some for breakfast tomorrow. If you have food sensitivities, you could also use this Allergy-Friendly Recipe as your base and add apples to it as well. This entry was posted in Allergy Friendly Food, Cooking, Food, Recipes. Bookmark the permalink.